Portsmouth Corner Wall-mount Sink 7 in. H x 22 in. W x 20 in. proj. 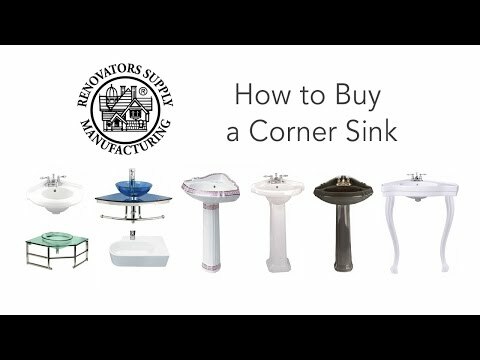 Renovator’s Supply Corner Sinks. 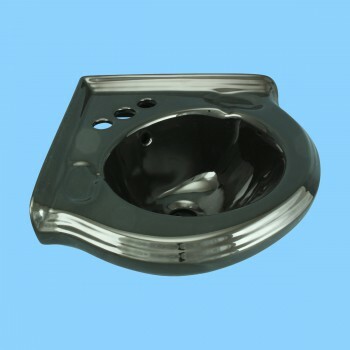 Corner Vessel Sinks Wall Mount: Made of Grade A vitreous China these sinks endure daily wear & tear. Renovator's Supply's protective RENO-GLOSS finish resists common household stains & makes it an EASY CLEAN wipe-off surface. Ergonomic & elegant easy reach design reduces daily strain placed on your body. SPACE-SAVING CORNER design maximizes limited bathroom space. Easy wall mount installation. 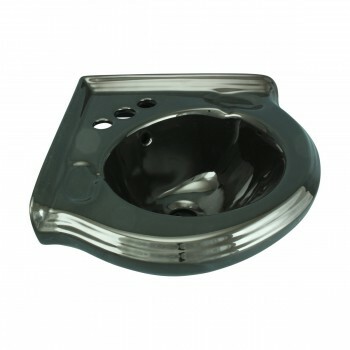 Accepts 4 inch centerset or single hole faucet (with cover plate). Faucet sold separately. Measures 22 in. W x 20 in. proj.